President Elect Mark Burchill, who was filling in for our missing President Peggy, called the meeting to order. The Pledge of Allegiance was led by Tim Fawcett and Cathy Vicini provided some very interesting observations in her invocation. Thanks to Cathy we can all stop thinking about joining the health club now without feeling guilty. 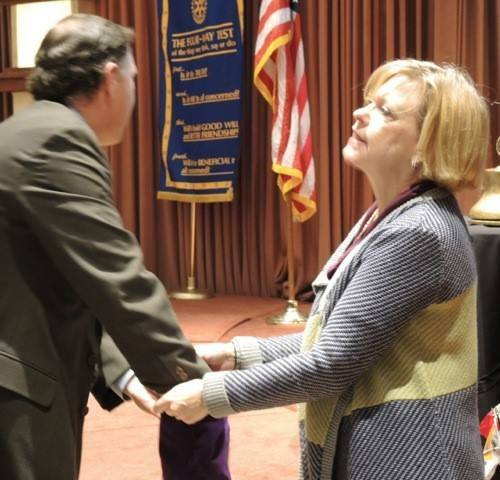 Eunice Valentine introduced our visiting Rotarians, Doug Shureen, Peter Steiner and Doug Roberts. All three visiting Rotarians are from the Santa Rosa Sunrise Club. Welcome fellow Rotarians. Diane Moresi introduced her guest, Gordon Dow from the Sonoma County Children’s Museum. Steve Olsen introduced Steven Kuudsen from the Farm Bureau. Kim Murphy introduced her husband Dewayne and Debi Zaft introduced Peter Holeninski. Karen Ball introduced her guest, Bart Eddy and Jack Atkin introduced Marjorie and Tom Sims, the parents of our program speaker. Penny Tibbetts announced that the sun is indeed shining on our club this rainy day. It’s always good news when all is well. Kris Anderson proclaimed that the raffle jackpot has grown to $79. Bill Hatcher held the winning ticket but was unable to draw the winning card. Better luck next week! Yale Abrams was this weeks secret greeter and awarded a free lunch to Troy Carrington. Who said there is no such thing as a free lunch? Craig Meltzner briefly explained what a Community Development Consultant does to assist agencies who provide affordable housing in our community. Craig has been a consultant for over 25 years and has assisted agencies file over 250 applications for funding that resulted in 3,000 affordable housing units being built in Northern California. Well done Craig. Debi Zaft, Ted Wilmsen, Diane Moresi and Ray Giampaoli read some of the many thank you letters from the third graders who received dictionaries this year. It is always so inspiring to hear firsthand the importance that these dictionaries hold for the young students who receive them. It is truly inspiring and another reason for all of us to get involved in community service. 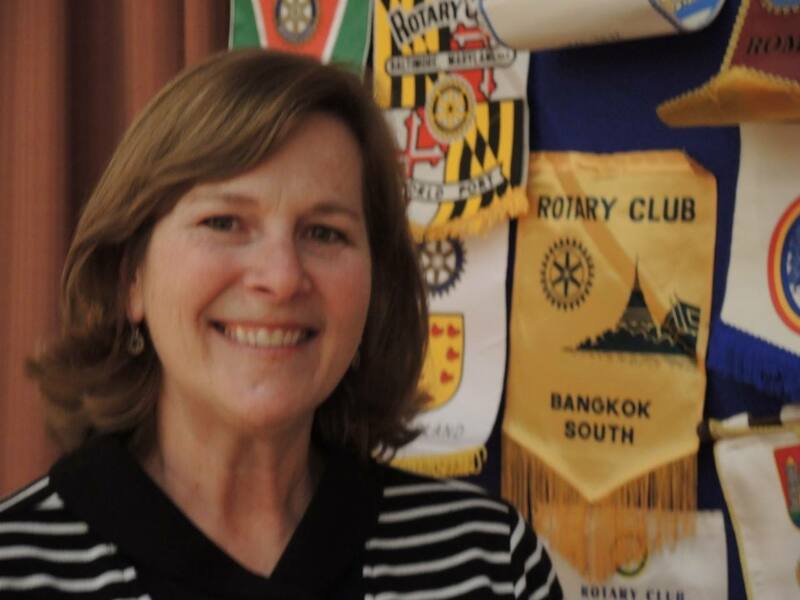 President Elect Mark announced that January’s Rotarian of the Month is Marnie Goldschlag. Marnie has given an abundance of service to the club. She organized and ran the Public Safety Award Program last month. She did this with humor and personal knowledge of the people we were honoring. She put in much time and effort to make the program a great club event. We had around 40 visitors and the meeting gave the club a chance to show off some of our good deeds like the dictionary project and our 4 Way Test ethics. In addition to leading this great event, she brought in our first corporate membership of four people. This was a pilot project and our first attempt at corporate membership. 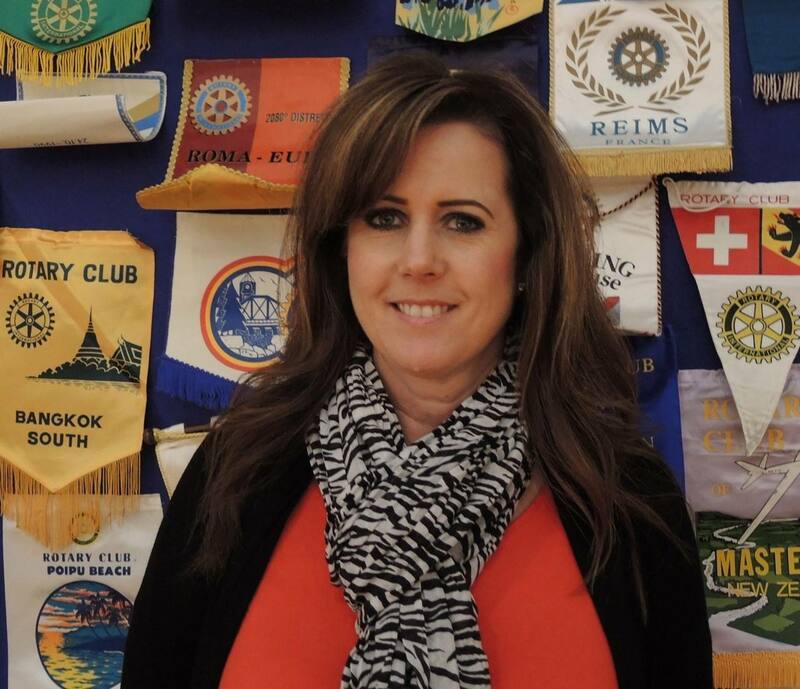 Congratulations to Marnie Goldschlag, our Rotarian of the Month of January! President Elect Mark reminded all the Rotarians present that Rotary is celebrating its 109 year birthday this week. Rotary first met in Room #711 and the furniture from that room is on display at Rotary International Headquarters Museum. President Elect Mark also reminded everyone that Rotary International President Ron Burton will be speaking at an evening dinner event in Sacramento at the Double Tree Hotel on March 30th. Cost for individuals is $55 per person with tables of ten available for $550. On line registration is available. Mark announced that our meeting on April 23rd will be a dinner meeting and include both silent and live auctions to raise money for our local and international programs. Dinner will be $25 and will start at 6:00 pm. Please note your calendars of the change. Jeff Gospe announced that the club is still in need of a host family for our exchange student, Giovanni Provenzano. The family does not need to be a Rotarian, just a willingness to share an exceptional experience with a wonderful young man. A family is needed for the end of March through May. Please contact Jeff or Craig Meltzner if you are able to help or know someone who is interested in providing a loving home for this young man. Doug Johnson reminded everyone of the importance of getting involved in this year’s major fund raiser, the Giro Bello. 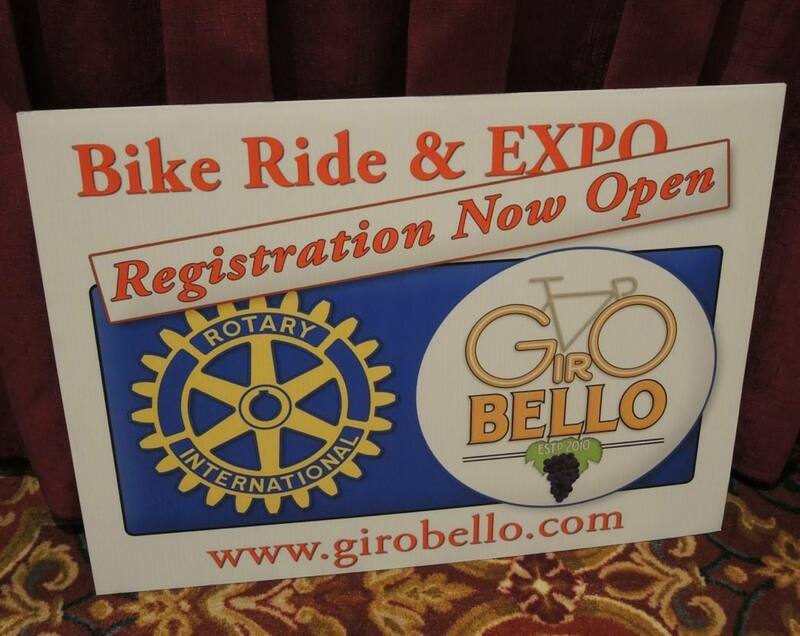 Doug thanked Robert Pierce for his design of the Giro Bello promotion sign. A very attractive professionally designed sign that is sure to attract riders. Doug also thanked Greg Johnston whose company, A&J Printing, donated the cost of printing 150 of these signs. If you have a location that would be a good place to display a sign please contact Doug Johnson. Doug also announced that we have a special promotion with a Rotary partner and encouraged Rotarians to go to Facebook if interested in finding out more about this partnership/promotion. Ray Giampaoli stressed the importance of getting corporate sponsors for the Giro Bello. Our goal is to obtain $25,500 in sponsorships. Your help is needed to obtain sponsors if we are to meet this goal. If you know any company that might be interested in participating in this high profile community fundraiser please make the effort to get their involvement. Sponsorships can be for $500, $1,000 or $1,500. Let’s all make this a success! 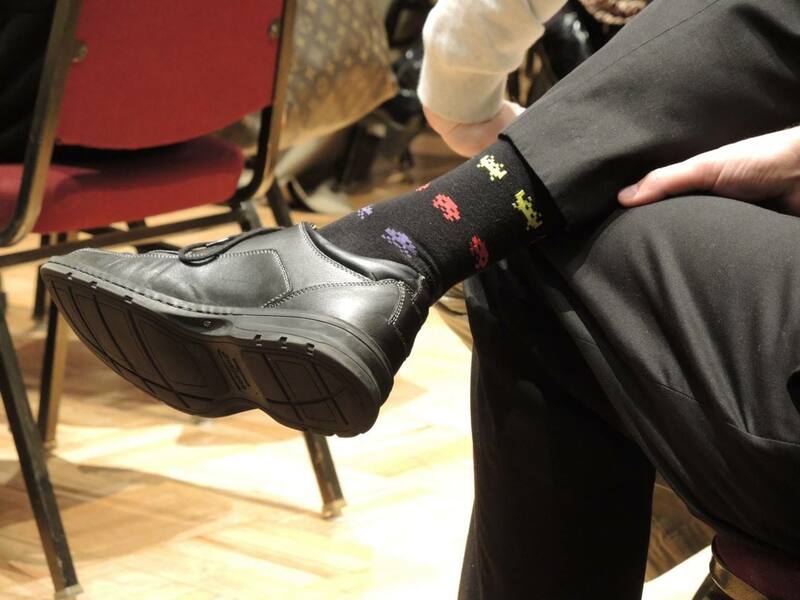 Who can identify the socks? President Elect Mark reminded everyone that we have a suggestion box available for any Rotarian to have input to the Board. Please include your name if you would like a personal reply. There was one question about whether the Club would accept credit cards for the meeting meal cost. Credit Cards can be accepted if you are purchasing a packet of ten (10) lunch tickets. However, credit card charges for individual lunches are not accepted. 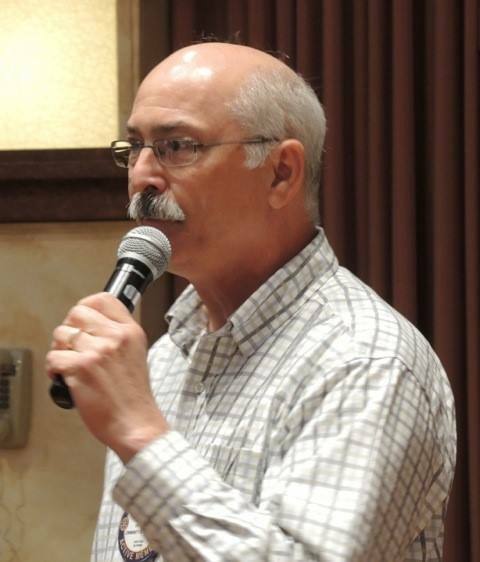 Was that Past President Don McMillan wandering around the room with a microphone in hand? No, it was President Elect Mark doing his best Dr. Phil impersonation as he moved throughout the room collecting happy dollars from Rotarians who were happy and wanted to share in the joy. Rick Allen was so happy that he could get by with only a $10 fine that he started the ball rolling by donating $10 to the club. In a frenzy of giving many Rotarians acknowledged their joy and willingness to share by donating $5 or $10. Well done Mark! Jack Atkin introduced our program speaker, Susan Sims. Ms. Sims is the Executive Director of the California Water Commission. She has more than 20 years of experience working on state water policy and other environmental issues. Ms. Sims began by recognizing that the current drought conditions in California are nothing new. We have a history of severe drought conditions but this year is different. We are on track to experience the most severe drought on record. When you take into consideration that the demands on our water system are greater than they have ever been, it could be catastrophic. Statewide, the per person use of water is about 190 gallons per day. Governor Brown has issued a proclamation asking for a 20% reduction in water usage. The State has begun a public relations campaign that is asking citizens to recognize there is a drought on so turn the water off. Surprisingly Southern California is in better shape to address the drought. Since the last major drought it has invested over 12 billion dollars to increase water storage and reduce water usage. In Sonoma County local vineyards are implementing conservation methods to reduce water usage. In the central valley over 500,000 acres are lying fallow because of the lack of water. This will result in over a five billion dollar lost to our state’s economy. The State of California Water Project has over 400 miles of canals, aqueducts and pipes to move water from the north to the south. In addition to moving surface water, we also rely on ground water. However, groundwater is not being replenished. As a result, the land is actually shrinking. Changing climate and weather conditions have also impacted the snowpack that is also a major source of surface water. More rain doesn’t necessarily mean more snow pack. Even the wettest spring will not alleviate the problems caused by the drought. To address some of the problems the State now requires water meters in all water delivery systems. We are also implementing more drip irrigation systems to replace surface watering in agriculture. However, there are competing interests for the use of water. We are slowly losing our fish species. Already two species have become extinct. To protect the fish, water pumping stations must be shut down during fish migrations. This reduces the amount of water moving in the system and often encourages salt water intrusion into the delta water basin. The Delta Conservation Plan is a proposal to build tunnels to move water underground from Elk Grove to Tracy. It would improve water supply reliability and improve the eco system by improving habitat protection from salt water intrusion. The current system is made up of very old levies that are unstable. It is hoped to finalize the Environmental Impact Report and begin construction in two years. It would take ten years to build. 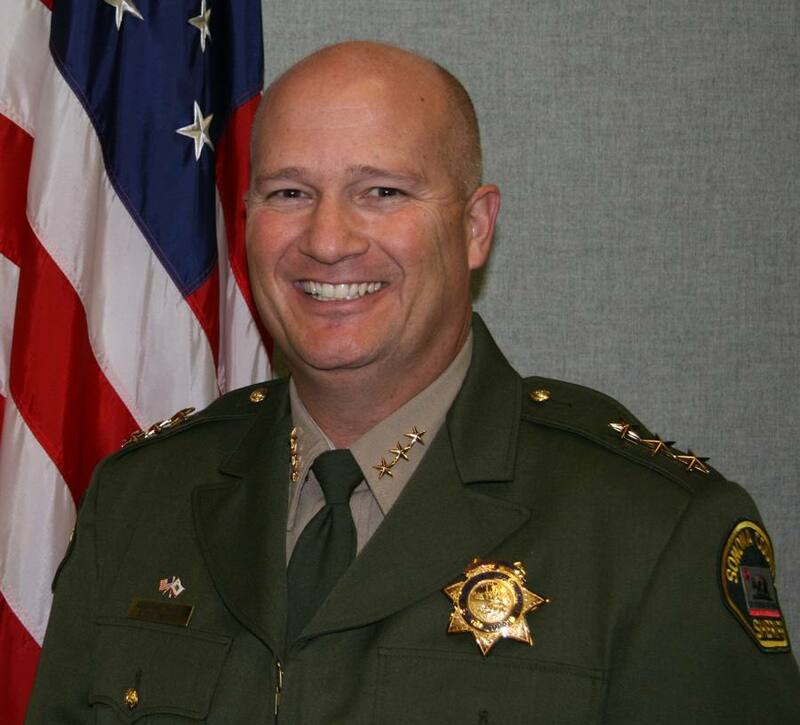 The project would be partially funded by a bond measure and by user costs. However, it is anticipated that litigation by various interests would delay the project. Ms. Sims closed her remarks by emphasizing that this is a very historic time. We must seek innovative solutions to these critical problems. Failure to act could be disastrous. So fellow Rotarians, we all must do our part. Remember that the slogan from the great drought of the 1970’s; “Save water, shower with a friend”. President Elect Mark closed a the meeting with a quote from an old blues song made famous by Otis Redding, “You don’t miss your water until the well runs dry”. We recently lost a very good friend and Rotarian, Creed Wood. 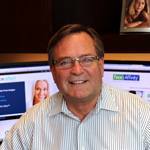 Creed was active in many Rotary Projects and a member of our Board of Directors. A funeral mass was held last Friday at St. Vincent de Paul Catholic Church, officiated by Father Gary Lombardi. A number of Rotarians from our club and many friends and family attended the service. Eulogies were given by Creed’s daughter, Catherine, his son, Jonathan and his younger brother, Michael. 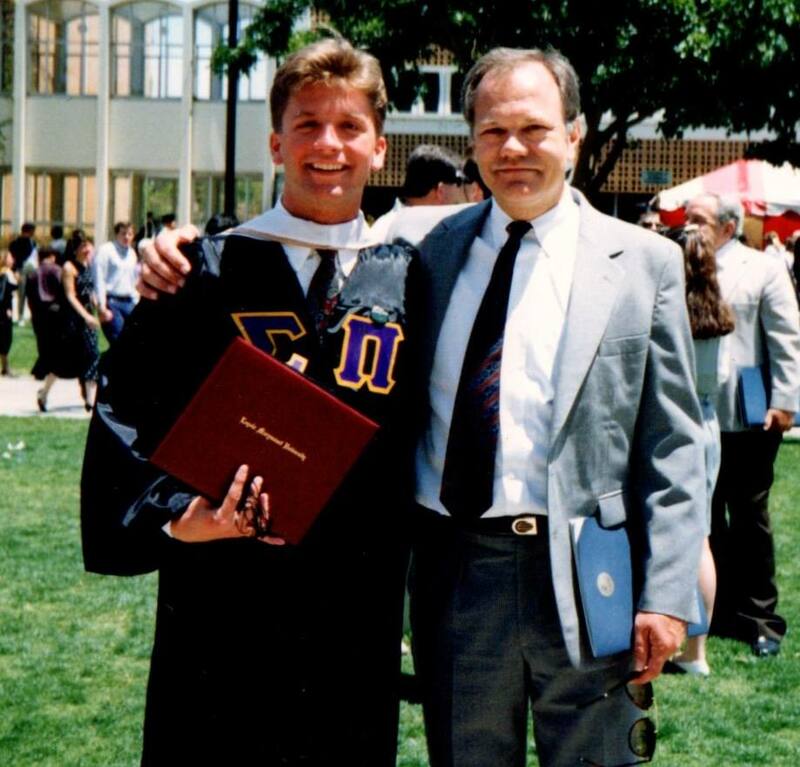 In lieu of flowers, memorial donations may be sent to the Christopher Wood Memorial Scholarship fund, established by Creed in memory of his son. http://www.santarosarotary.com/foundation/christopher-wood-scholarship-fund/. Be happy, we had so many years. But now it’s time I traveled alone.